A good broth, or stock, is one of those common ingredients that’s a kitchen staple everywhere. Or at least it used to be, and should be today. Unfortunately, the convenience of canned “broth” (and I use that term loosely) and bouillon cubes has taken over that niche in many modern kitchens (it’s amazing how often we see “convenience” and “poor nutrition” together, almost like there’s some kind of correlation between our poor health and the fact that we eat everything out of bags, boxes, and cans). Just kidding. I made my first broth in the middle of the afternoon. Why is Broth So Awesome? Real broth is a powerhouse of the pantry, and not only for its culinary versatility. 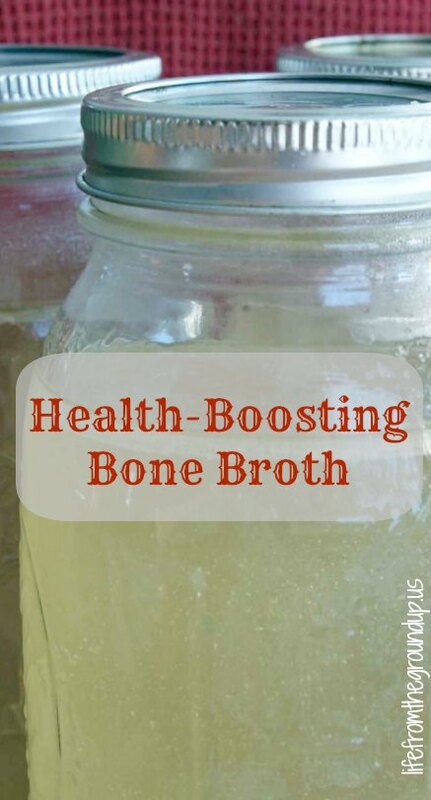 The benefits of bone broth extend far beyond the flavor that it adds to soup. You thought eating chicken soup when you have a cold was just an old wives’ tale? Well, maybe if you’re packing down cans of Campbell’s, but if you’re making it from scratch with your own broth, maybe not. Traditional broth is made from what’s left of an animal after you eat the meat – bones, tendons, and other cartilage-laden pieces. And what are bones made of? Calcium, magnesium, silicon, phosphorus, and other trace minerals – all are found in plentiful quantities in bone broth, and in easy-to-assimilate forms. Have you ever taken one of those glucosamine supplements for joint pain? Guess where glucosamine comes from (along with a host of other joint-helping substances)? Cartilage, tendons, and other connective tissue. And what’s in that bone broth again? Among its many benefits, gelatin is a key player in gut health. The standard American diet (SAD) does a number on your digestive tract – in many cases, leaky gut syndrome, food sensitivities, and even some autoimmune diseases are a direct result of the food you eat. Gelatin helps by repairing tiny holes in your gut’s lining, which left untreated, lead to many of these conditions. Collagen is a major component of healthy hair and nails, so if you’re looking for an extra kick of shiny, skip the supplements (again), and grab a cup of broth! Those old wives’ tales have more than a hint of truth in them. Bone broth is an immune stimulator, and many of the amino acids contained within help to fight inflammation. It also naturally inhibits infection, and even helps your liver perform its detoxing job more efficiently. I know many people are all about the boneless, skinless everything, but you’re really missing out then. Not only is bone-in chicken breast usually cheaper, but you also get to turn those bones into broth – double bonus! About 2 pounds of bones, heads, feet, etc. If you're making beef or lamb broth, stay with me. If you're using chicken, turkey, or fish, skip ahead to step 3. 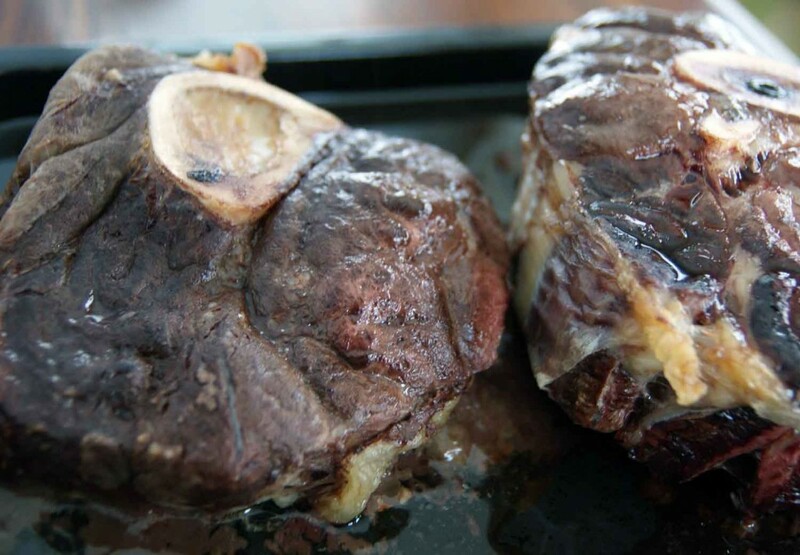 Place the beef bones onto a baking sheet and bake at 350 F for 45-60 minutes. You're going for nicely browned bits that add flavor to the end product. Put the bones into a large stockpot, and add the water, vinegar, and vegetables. The vinegar is important here, as it helps to pull more minerals from the bones. Let sit for 30 minutes BEFORE BOILING. Bring the water to a boil, then reduce to a simmer. For the first couple hours, check the pot occasionally and skim any foamy stuff off the top. Continue to simmer (beef for up to two days, chicken for a day, fish for 8-10 hours - the bigger the bone, the longer you simmer). Your water should be on the low end of simmer - just a random bubble here or there, not an "almost-boiling" simmer. Note: fish might make your entire house smell. Just an FYI before you get started. When your broth is ready (and ready is kind of arbitrary; it's ready whenever you say it is), strain it using cheesecloth or a fine mesh strainer, let it cool, and put it into jars. I generally process my broth in a pressure canner because freezer space is at a premium, but if you have room, you can freeze it just fine. Just remember to NOT fill your jars all the way - water does expand when it freezes! Most recipes call for approximately two pounds of bones per gallon, but don't worry if it's not exact - I rarely measure anything. Vegetable scraps can add a nice element of flavor - save your scraps in the freezer as you do the bones. 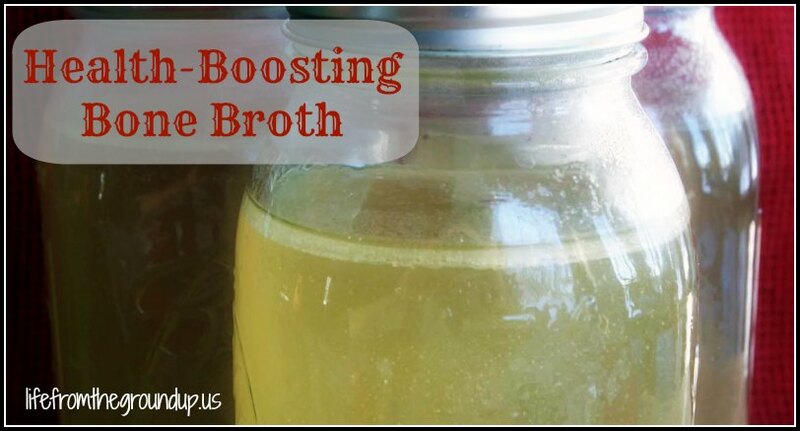 Thank you for this…I have been told that broth is one of a list of 7 must have foods! What happens if I roasted my chicken bones first too? I followed a crock pot recipe that said you could use it for either beef or chicken and it said to dry roast, so I did!